Elon Musk reveals an image for 'Mars Base Alpha' - Its A Strange World. The larger than life entrepreneur has revealed the first concept of the Mars colony base. Prior to Musk’s company SpaceX even constructing the next generation rocket that will transport humans to Mars, he is already setting his sights ahead on the off world colony itself. Elon Musk recently tweeted the concept image, titled ‘Mars Base Alpha’. 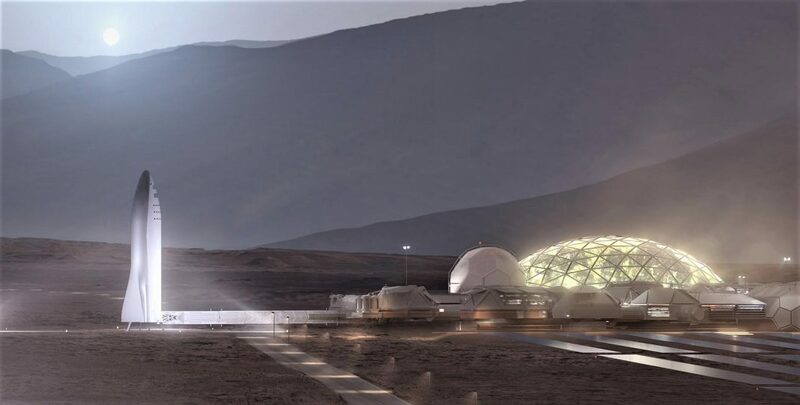 As the title suggests, it is a concept of the first colony base to be built on the red planet. “I think fundamentally the future is vastly more exciting and interesting if we’re a spacefaring civilization and a multiplanet species than if we’re or not,” Musk said previously. The pencilled in date is 2028, which isn’t that far away.